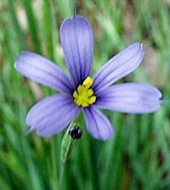 (Sisyrinchium angustifolium ) is painting the roadsides blue in moist areas. (Sisyrinchium angustifolium) Found in Florida and no place else, greeneyes can take it dry. 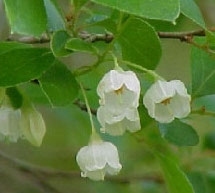 (Vaccinium arboreum) The largest terrestrial blueberry, sparkleberry makes a magnificent specimen tree. Follow the Hernando Chapter on Twitter! Ornaments were provided by members for the Hernando Chapter, Florida Native Plant Society entry for the Holiday in the Gardens event at the Nature Coast Botanical Garden. We decorated a youpon holly, in fruit, next to path. Quite a few compliments. On the same day, December 7, Jason came by with buckets of Garberia & Liatris seeds collected this fall to plant in our sandhill. Right: Jason LaRoche, the 2013 Hernando Chapter Volunteer of the year, is at it again, donating his time and effort to keep adding to our sandhill demonstration area at the Nature Coast Botanical Garden. The Liatris and Garberia seeds will add to the fall display in 2014. Photos courtesy of Jude Simpson. Rick Hessler in the spirit as tree elf. 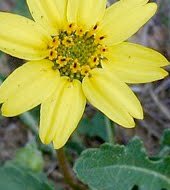 The Florida Native Plant Society’s purpose is the conservation, preservation, and restoration of the native plants and native plant ecosystems of Florida. The Hernando Chapter’s goal is to share information with those citizens interested in learning about native plants, their ecosystems, as well as all aspects of biological diversity.